The film will be shown between the dates of August 14-20 2009. Producer Peter Brauer will attend Friday's screenings. 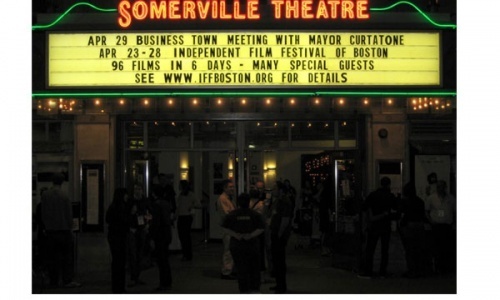 They pride themselves at the Somerville Theatre on their low ticket and concession prices that are less than the other theaters in the Boston area. Their theatre is also home to the Museum of Bad Art! Located in the basement opposite the bathrooms, the MOBA is free with your paid admission to the movies or a live show. Browse through works of wonderfully bad art before or after the show!